Our Company - J.S. Brown & Co.
We are proud to be one of Central Ohio's premier remodelers. As a full service custom residential remodeling company and a licensed, bonded, and insured general contractor, J.S. Brown & Co. has built a solid reputation for quality workmanship. Our mission is to satisfy our customers’ needs by offering a better experience and end result at a value that can’t be matched anywhere else. Our approach to remodeling projects– big and small– incorporates checks and balances at every phase to ensure our clients’ needs are always being met. Since 1978, J.S. Brown & Co. has been the choice of homeowners who demand the best. J.S. 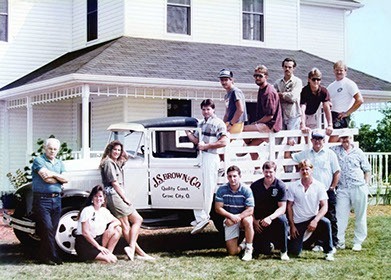 Brown & Co. was established in 1978 by founder and namesake Jeffrey S. Brown. Over the last four decades, our team of professionals has been invited into thousands of homes in the central Ohio area. From basements to rooftops, we’ve used our craft to improve rooms and spaces of all shapes and sizes and we've transformed homes into showpieces that enhance the owners’ lives and increase the value of their most important investment. Today our staff of 27 professionals is headquartered at our award-winning facility and showroom in Grandview Heights, Ohio. To put our experience to work for you, please contact us today. When you walk through the doors of J.S. Brown & Co., you will immediately feel the strong connection between our staff. We are proud to be a part of such a reputable company, and this is reflected in the work we do every day while serving our clients. We hold true to our values and strive to be the best at what we do. Our staff works hard but we like to play hard, too. Whether it’s a birthday celebration, a Christmas party, or a company outing, you can always count on us to show up and have a good time! We are committed to continuing a legacy of partnering with people who are passionate about quality, service, teamwork, and respect, while creating a fun experience that transforms homes and improves quality of life. Our team of professionals cares about the work they do — and the people they do it for. J.S. Brown employs a highly experienced design-build staff of 27 dedicated professionals with a wide range of industry certifications including Certified & Master Certified Remodeler (CR & MCR), Certified Lead Carpenter (CLC), Certified Kitchen Designer (CKD), Associate & Master Certified Kitchen and Bath Designer (AKBD & CMKBD), and Universal Design Certified Professional (UDCP). Our design professionals and sales staff are supported by our own in-house architects and interior designers and we maintain long-term relationships with the industry’s most sought-after suppliers and subcontractors to complement the capabilities of our core team. 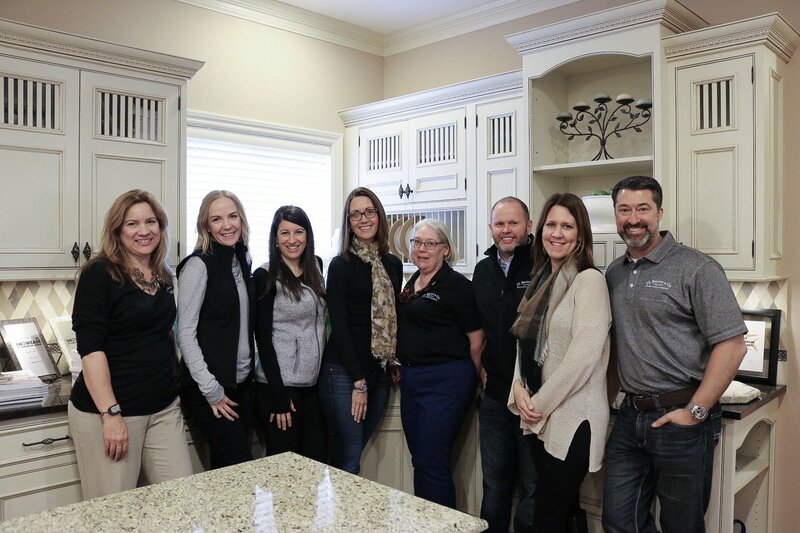 Based on the characteristics of each project and each homeowner, we specialize in bringing together a team of people perfectly suited for the job, and those same people remain on the job site from day one. You can feel confident that our team is dedicated to treating your house, your possessions, and your family with the respect, consideration, and courtesy they deserve. As founder of J.S. Brown & Co., Jeffrey S. Brown has become a recognized leader in the home remodeling industry. Home construction is a trade that Jeff picked up at a young age from his father—watching him build the family’s home. Jeff has turned his skill into a lifelong passion and successful career for over 40 years. He has been recognized as Remodeler of the Year and has been named among the top fifty remodelers in the nation by Remodeling Magazine. Designer and Sales Manager, Monica, works with her clients from the earliest stages of their project design through to the final walk-through. She holds a Bachelor of Fine Arts in Interior Design from the Columbus College of Art and Design and is a Certified Master Kitchen and Bath Designer (NKBA) and a Certified Remodeler (NARI). Monica has over 25 years of experience in the residential construction industry and joined J.S. Brown & Co. in 2002. Bryce joined the J.S. Brown team after 12 years as Vice President of another local design-build remodeler. He has designed several national award-winning projects and has been a dedicated educator to remodeling professionals as well as the general public. 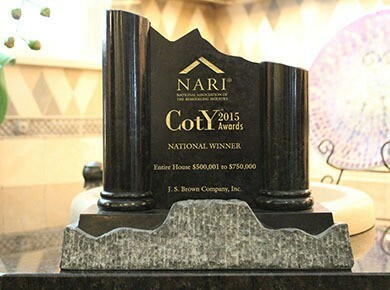 As past President of NARI, he has helped shape the remodeling industry with his development of Universal Design education and certification to remodelers nationally. Bryce graduated from Ohio University and lives with his wife and three daughters in Old Worthington. When not working, you may find Bryce boxing, hiking, biking, or skipping stones along a river bank with his daughters. Tony Hudson provides sales, design, and estimating for J.S. Brown & Co. and joined the team in February 2015. He has over 30 years of experience in design, with the last 22 years focusing on design/build. His background in construction management and design offer our clients great insight into our process. Tony graduated from The Ohio State University School of Architecture in 1985. Courtney brought her passion for creative design from New York where she worked on luxurious homes in the Hamptons to high-rise lofts in the city. She loves working with her clients and seeing how the transformation impacts their lives. She has a degree in sociology from University of Dayton and a design degree from The Art Institute of New York. Wendy Sorenson has been in the building remodeling industry for over 20 years with a focus on remodeling existing homes. Transforming her clients’ spaces to enrich their quality of life is what drives all of her projects. Whether it is a 2-story addition, remodeling a kitchen, or changing an entrance, Wendy listens closely to her clients and works through every step of the process. She is a Certified Remodeler (NARI) and Certified Kitchen Designer (NKBA). Wendy earned her degree in Art & Marketing at Western Washington University in Bellingham, WA. Dave has worked within the remodeling industry for over forty years, spending the majority of his time managing the construction of custom homes. He is married with two kids and two grandsons and enjoys spending time hunting, fishing, and gardening. Brandon is the company’s design & estimating manager and has been with J.S. Brown & Co. since 1998. He is responsible for structural analysis, detailed project drawings, estimation, and systems management. He received a bachelor’s degree in architecture from The Ohio State University and previously worked in a carpentry position prior to joining J.S. Brown & Co.
Margie has been an integral part of our company for more than 10 years and is responsible for the Accounting and Human Resource departments. Originally an education major, Margie left BGSU when she married her husband. A stay-at-home-mom at the time, Margie often volunteered her administrative skills at her church and children's school. During this time, a fellow church member asked Margie to help keep his business accounting records in order; thus her love for numbers was discovered. When Margie’s youngest child began school, Margie went back to college and completed her accounting degree and began at J.S. Brown & Co. soon after. Meredith Young is a Certified Kitchen Designer (NKBA) and Universal Design Certified Professional (NARI) with over 15 years experience in the Kitchen and Bath remodel industry. For her, a kitchen is not only the space we cook and clean, it is the hub of the home where families and friends socialize, connect, work, study, and commune. Also specializing in bath design, Meredith enjoys the challenge of helping clients create both a functionally smart layout and an aesthetically beautiful space. Meredith earned her interior design degree from The Ohio State University in 1998. Amy is a designated kitchen and bath designer with 15 years of sales and business experience. A graduate from Miami University, she is glad to be back in the Midwest to share her passion for residential design. She enjoys working closely with clients to perfect kitchen layouts and bathroom tile designs and revels in the details of these projects. An active member in the NKBA, Amy has extensive product knowledge in cabinetry, countertops, tile, and appliances, and loves creating beautiful layout solutions. Amy lives in Upper Arlington, is married, has three children, and has a sassy calico and a devoted Boston Terrier. Brooke brings her interior design passion from out West where she received her ID degree at Utah State University, has been a designer since 2007, and in 2011 began in the residential remodeling industry. She loves creating sophisticated and polished interiors, and hasn’t met any unlacquered brass, honed marble, or herringbone floors she didn’t love. When not designing kitchens, Brooke is usually found in her own kitchen cooking up healthy meals for herself, husband, and 2-year-old daughter. Paul has over 35 years of carpentry and remodeling experience. He developed his craft as a master carpenter in New England with a focus on interior trim, cabinetry, and stair building. Capitalizing on those skills, he later became very passionate about residential remodeling and has been recognized on local and regional levels for his work. Paul is a graduate of the University of Maryland. Along with his wife Laura, he enjoys being involved with their church, family, and putting countless miles in on their bicycles. James A. Sorrell manages various aspects within J.S Brown & Co.’s production department. Jim has been involved with the construction industry since 1975 in a number of capacities: master plumber, framing contractor, general contractor, and plumbing and lighting sales consultant. He enjoys spending time with his sons and grandsons. Dave began working at the age of 13 and has over 40 years of industry experience. He is a Certified Lead Carpenter (CLC) through the National Association of the Remodeling Industry (NARI). Dave is an antique car enthusiast and owner. After 28 years in the industry, Todd still strives to hone his craft. The look on the client’s face when they see the finished product is what most matters to Todd. When he sets the hammer down he likes to spend time with his family enjoying the lake, the sun, and just being outdoors. Dan has been married to his wife Joei for 12 years and they have three children, DJ, Dalton, and Dylana. The kids take up all of his time outside of work; Dan also coaches youth wrestling and baseball. Mike graduated from Bloom Carroll High School and Eastland Vocational School; he has been in construction for more than 30 years with over 20 years’ experience in high-end remodeling. Mike enjoys working with clients and our team to produce a high quality job, and when he’s not doing that, he enjoys playing guitar, riding motorcycles, golfing, and other outdoor activities. Mike has four sons and is engaged. Born and raised in Baton Rouge, LA, John is the son of a carpenter. He enjoys gardening, mountain biking, and working with tools. Keith started out building custom homes and has been a carpenter since 1987. Two years later he joined the remodeling industry and since then has enjoyed exciting customers about their projects through his quality workmanship. Keith has been married for 26 years and has two children, three grandsons, and one granddaughter. Aaron Rodger received a bachelor’s degree in graphic design and has over 14 years of construction and remodeling experience. He established himself in New York while working in various commercial and residential building trades. His artistic background and passion for carpentry offers our clients the attention to detail they deserve. Jay holds an associate’s degree in carpentry from Cuyahoga State Community College and has many years of experience as a carpenter, foreman, and superintendent. Jay most enjoys working on interior trim and building relationships with our homeowners. When not trimming out rooms, Jay is kayaking and spending time with his wife, three children, and two grandchildren. Jerry has been in excavating since 1991 and joined J.S. Brown & Co. as an in-house excavator. He has been a scuba diving instructor since 2008 and has over 600 dives under his belt! Jerry has been happily married for 36 years. Originally from New Waterford, Ohio, Coty is passionate about woodworking, fitness, and enjoys spending time with his wife. Our award-winning showroom is much more than a place to do business. It’s a place to inspire ideas. Our 11,000 sq. ft. facility, located at 1522 Hess Street in Grandview, Ohio, is decked out with state-of-the art technology and hundreds of samples. It’s the perfect place to explore the multitude of possibilities in home remodeling. We encourage all clients to visit our showroom as part of the project process, where you can get the ‘big picture’ of our capabilities and view examples of the work we’ve done for other clients—which will help inspire ideas about what we can do for you. "Great design ideas and quality product recommendations enhanced original objectives for this room. It had rave reviews prior to completion, even in the rough construction stage." We’re proud to be involved in our industry. We’re honored to be recognized as one of the best. We are also proud to be active members in the Chambers of Commerce of the communities we serve, including Clintonville, Grandview, Marble Cliff, and Upper Arlington. The industry’s most prestigious award, which recognizes remodelers from across the nation for excellent workmanship, problem solving ability, innovation, and professional achievement.